People mistakenly believe that judges use a formula to determine the amount and duration of alimony owed to a dependent spouse. However, unlike child support, the amount and duration of alimony isn’t determined by a preset formula under North Carolina law. Child support is calculated using North Carolina’s Child Support Guidelines, so lawyers and judges can quickly and easily calculate the amount and duration of child support owed by plugging the appropriate numbers into a simple formula. The amount of child support is determined based on the incomes of both parents plus any additional medical care and child-care expenses, and as long as the child has finished high school, child support payments end once the child reaches the age of eighteen. 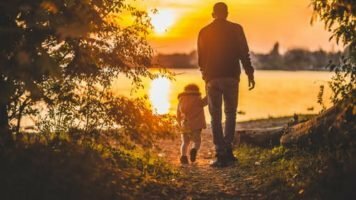 Although issues arise relating to the amount of child support owed in family law cases, in general, the guidelines make it easy to determine the amount and duration of child support obligations. Compared to child support payments, issues are more common regarding alimony payments in family law cases. Typically, they arise when one spouse claims they need money to support themselves and the other spouse says they cannot afford the amount of alimony requested. Unlike child support obligations, there’s no simple formula for determining the amount and duration of alimony under North Carolina law. Alimony isn’t awarded in many family law cases. 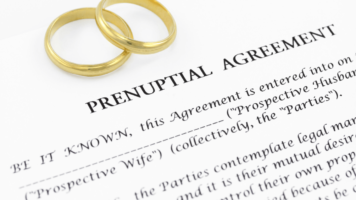 A spouse must prove their status as a dependent spouse to be awarded alimony. In general, if both spouses earn similar incomes, then it’s unlikely that either spouse will be considered dependent and awarded alimony. North Carolina judges exercise a great deal of discretion when determining an alimony award based on these factors. In general, the longer the marriage, the longer the duration of the alimony payments. Furthermore, spouses who earn high incomes can expect to pay significantly more in alimony, then spouses who earn modest to low incomes. According to case law, marital misconduct committed by the higher-earning spouse will result in higher monthly alimony payments, longer duration of alimony payments or both to the dependent spouse. When a wife has committed adultery before the couple separated, it may bar her from recovering alimony from the husband. However, if a husband wants to bar his ex-wife from receiving alimony based on adultery, then he must not be an adulterer himself. Based on the factors discussed in this article, North Carolina’s alimony laws can result in widely different outcomes in each case. Thus, it’s important for both the spouse seeking alimony as well as the spouse defending against alimony claims to get help from a Raleigh alimony lawyer. If you have any questions regarding how alimony and child support payments are determined or any related type of family law matters, contact the experienced attorneys at Daphne Edwards Divorce and Family Law, PC. Call us at (919) 838-7160 or contact us here.